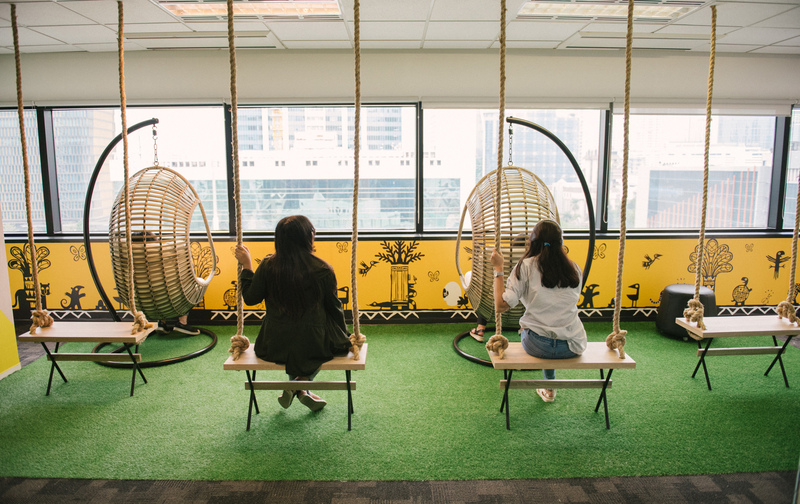 EV Hive, Southeast Asia's largest collaborative workspace, announced the launch of the largest co-working space yet, EV Hive City. Spanning 6,700 sqm at Plaza Kuningan, Jl. 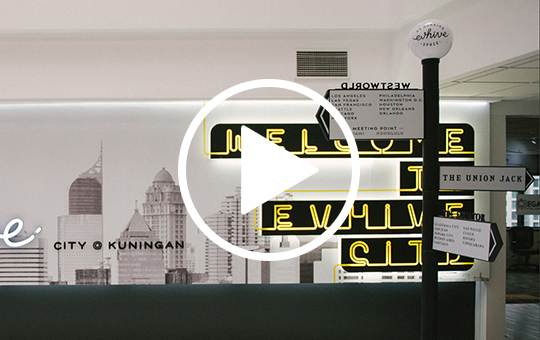 Rasuna Said, DKI Jakarta, Indonesia, EV Hive City can accommodate more than 1,000 SMEs, entrepreneurs, tech startups and creators within a single community hub. Designed to build an open collaborative culture among EV Hive's members, EV Hive City's floors are carefully dotted with team discussion pods, event spaces and lounge areas for its members to host networking events and business skill workshops. The smart city concept of EV Hive City @Plaza Kuningan. 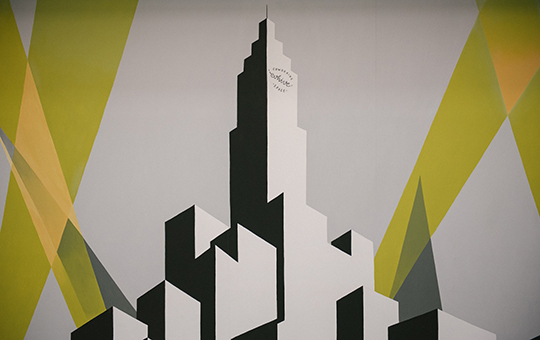 Wall murals to boost creativity at EV Hive City @Plaza Kuningan. Lounge area to have a more relaxed work ambience. Collaborative workspaces to help you network with professionals. EV Hive's CEO and Co-Founder, Carlson Lau, remarked: "EV Hive is founded with the vision of building community hubs for entrepreneurs to start and grow their businesses. We are entering a new sharing economy era through our EV Hive platform. It helps small businesses and entrepreneurs gain access to shared facilities, while expanding community networking opportunities that are unavailable or otherwise too expensive to build individually. We are proud to be at the forefront of this grassroot community movement in Indonesia to help local businesses grow, and now in process of constructing our next two mega hubs that are bigger and better than EV Hive City." EV Hive is also pleased to launch EV Hive Community Awards, a special pool of capital to co-invest alongside other investors with promising entrepreneurs and startups supporting the EV Hive ecosystem. EV Hive Community Awards build on the insights gained from EV Hive Connect platform, which actively curates the services its members require and wish to contribute. 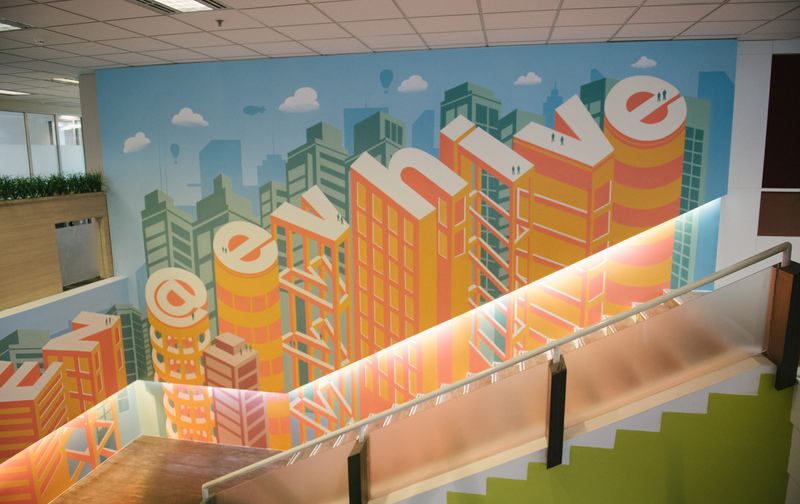 "By working closely with members and witnessing firsthand the impact that these members have on the community, EV Hive gains deep insights into the raw potential of promising startups and entrepreneurs from very early times. EV Hive actively matches the founders of these emerging companies with angel investors, venture capital funds and business partners within the ecosystem. In some cases, EV Hive also co-invests alongside these investors to its members, enabling these entrepreneurs to accelerate their growth trajectory," added Carlson. Originally incubated by venture capital firm East Ventures in 2015, EV Hive is also backed by other investors including Sinar Mas Digitial Ventures ("SMDV"), Sinar Mas Land, Insignia Ventures, Intudo Ventures and Jacumen Investments. Today EV Hive hosts more than 1,300 members with 11,000 event and workshop participants across its 10 locations, counting several of the fastest growing Indonesian startups such SquLine.com, Member.id and HelloBeauty among its members. EV Hive has recently been listed in the Top 40 potential future unicorns by Indonesian Ministry of Communication and Informatics. 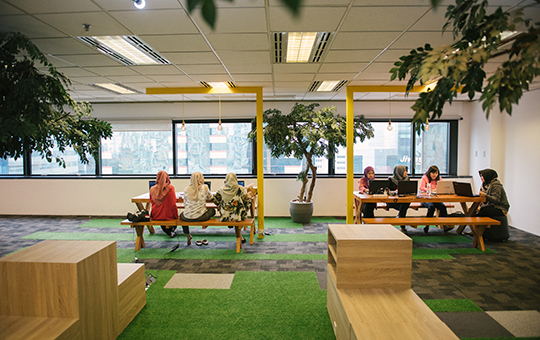 EV Hive is a co-working space in Indonesia, offering knowledge sharing and community building as its core value. Through events and workshops by its network of entrepreneurs and tech communities, it helps local startups grow their business. East Ventures aims to bringing success to ventures by providing early stage seed capital to promising start-ups. With a total of six offices in Jakarta, Tokyo, and San Francisco, East Ventures' global team has invested in over 150 companies across Asia and the US. East Ventures' portfolio of companies cover fields such as commerce, social, game, SAAS, and mobile services. SMDV is a tech-focused venture capital fund that partners with entrepreneurs building exceptional technology companies, which aim to change the landscape in Indonesia and the region, by providing venture investments, strategic network and mentorship. Sinar Mas Land, part of Sinar Mas Group, is engaged in the property business through its operations in Indonesia, China, Malaysia and Singapore. Sinar Mas Land has long-term investments in major commercial buildings, hotels and resorts, and is involved in property development and leasing in Indonesia, China, Malaysia and Singapore. Insignia Venture Partners is a venture capital fund targeting early-stage technology companies in Southeast Asia. The Company was founded by former Sequoia Capital Venture Partner, Yinglan Tan. Intudo Ventures was founded by Eddy Chan and Patrick Yip, working with founding advisor Timothy Chen, in 2017. The three have invested in notable companies such as PayPal, SpaceX, Palantir and Fortinet. Focused on leading seed and Series A rounds, EV Hive marks Intudo Ventures' first investment.